Rhyming is an important skill for new readers to practice. 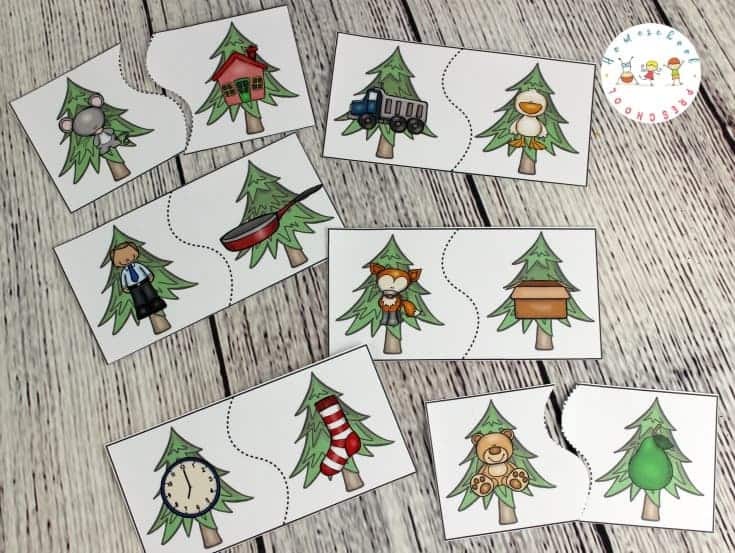 These forest-themed printable rhyming puzzles are fun for preschoolers and kindergarteners. Rhyming is an important beginning reading skill. As kids learn to rhyme, they can begin to sound out words as they read. They can begin to recognize that if h-o-u-s-e spells house then m-o-u-s-e spells mouse. 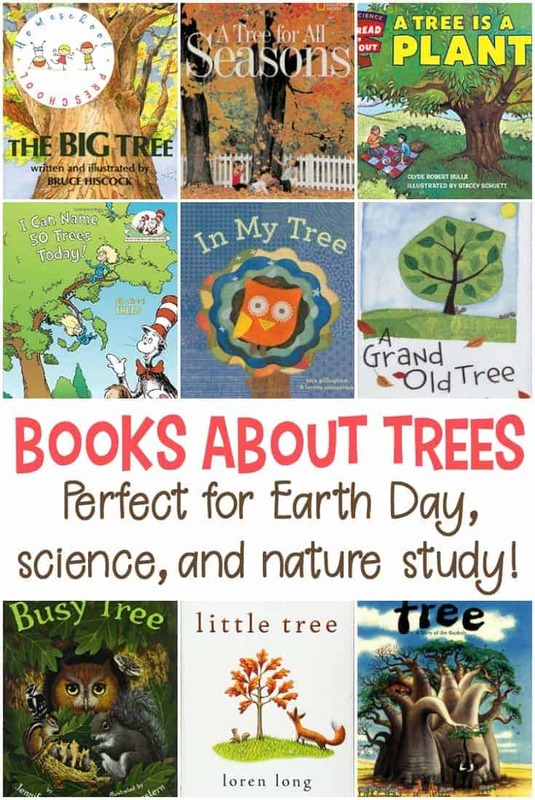 It’s important to introduce young readers to rhyme through games and picture books. Add rhyming activities to your language arts and reading time. 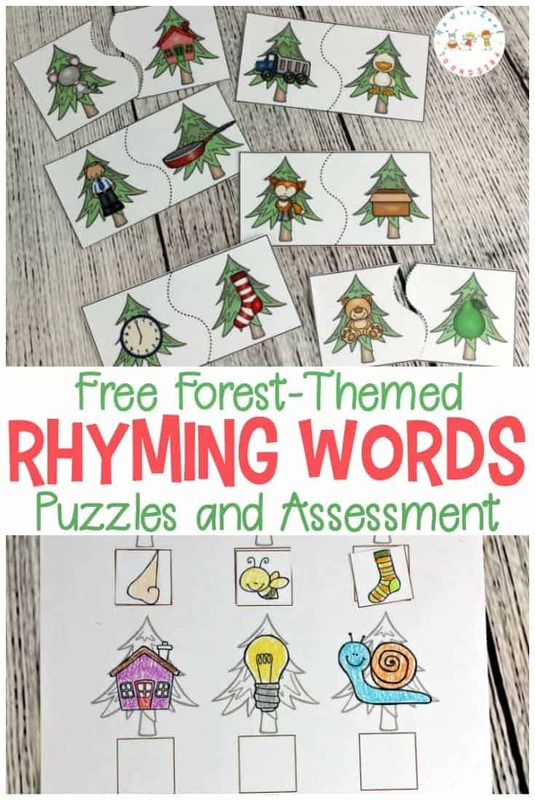 These rhyming words puzzles will be a great addition to your preschool lessons. 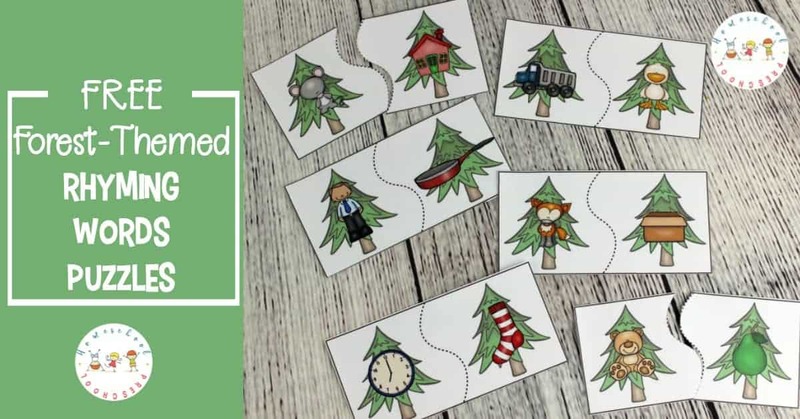 With fun forest-themed puzzle pieces, these printable rhyming words puzzles will make a great addition to your unit studies about trees or life in the forest. Print out the puzzles. I suggest printing on cardstock for stability. I also suggest laminating the puzzles for durability. I’d laminate the whole page before cutting apart the puzzles. This will save you from having to cut them out twice. Once you’ve laminated your pages, cut apart the puzzles so that each puzzle is two separate pieces. Now, you’re ready to go. For kids who may be new to rhyming, I suggest through the rhymes together. You say one image aloud (mouse), and let your preschooler say the other (house). Saying them aloud helps preschoolers listen for and identify the rhyming sounds. Once your child is familiar with the rhymes, mix up the puzzle pieces. Ask your student to match the pairs to complete each puzzle. You can give them a few at a time, or you can give them all at once. For children who are already comfortable with rhyming, this is great practice. Skip saying the rhymes together, and let your student get to work matching the rhymes to complete each puzzle. 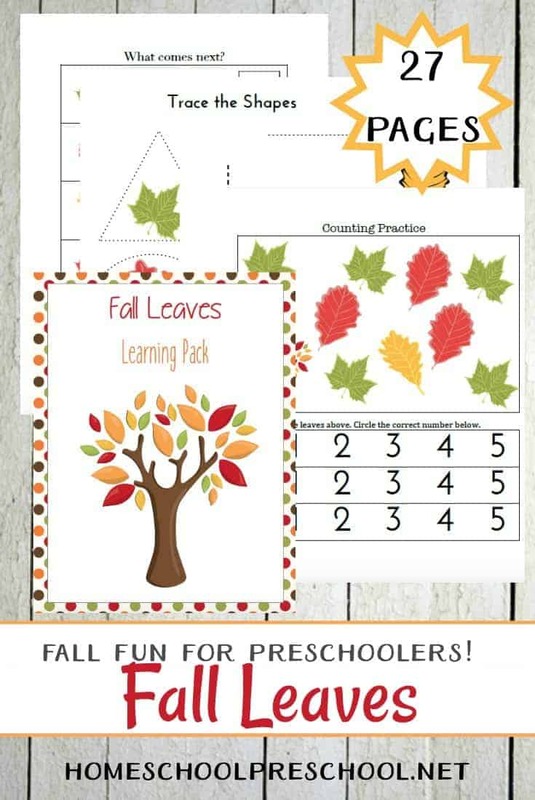 I know that some homeschoolers need to document learning activities in a portfolio, and some preschool teachers need to send papers home to parents to show what they’re working on. So, I’ve got a fun cut and paste activity that’s perfect for this. Kids can color the page if they desire. Then, instruct them to cut off the images at the bottom of the page. Glue each image under its matching rhyme. 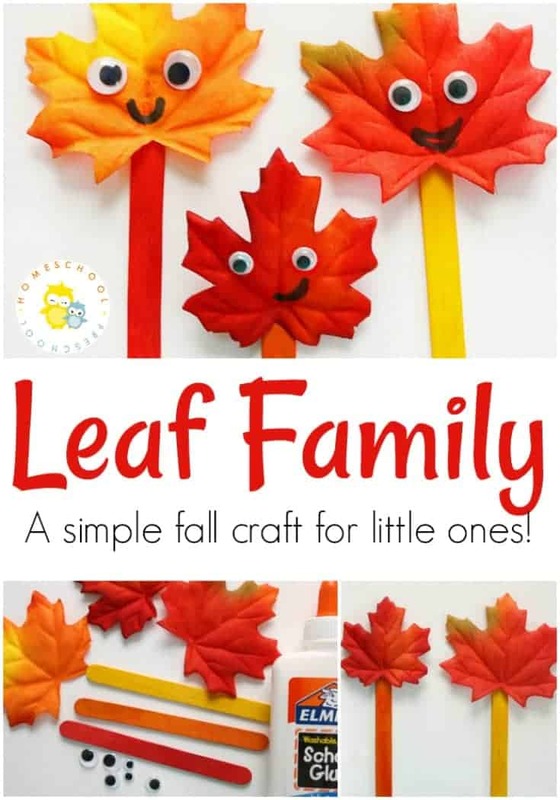 This activity is a great assessment tool as well as a unit wrap up. 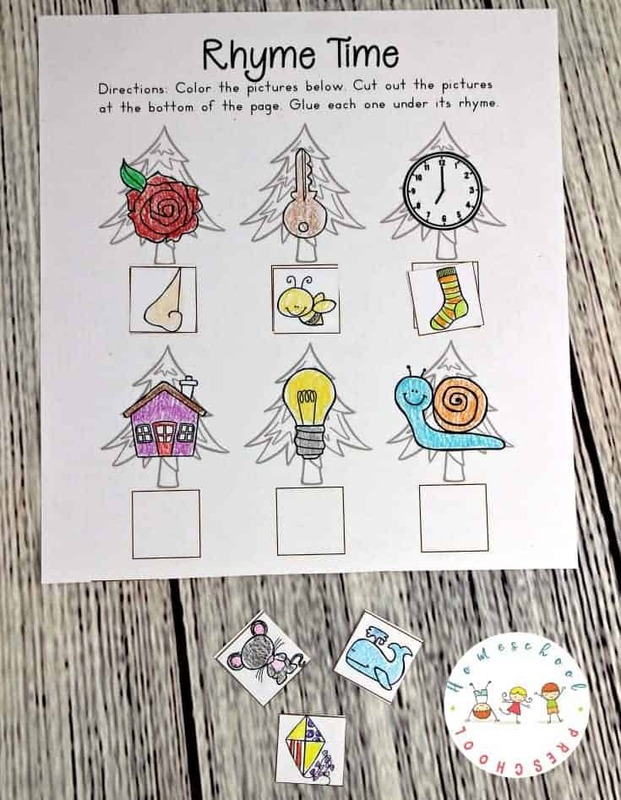 Download Your Printable Rhyming Puzzles. These printable rhyming puzzles are available only to my subscribers. Please click the image below, submit your contact information, and then follow the instructions for your download.